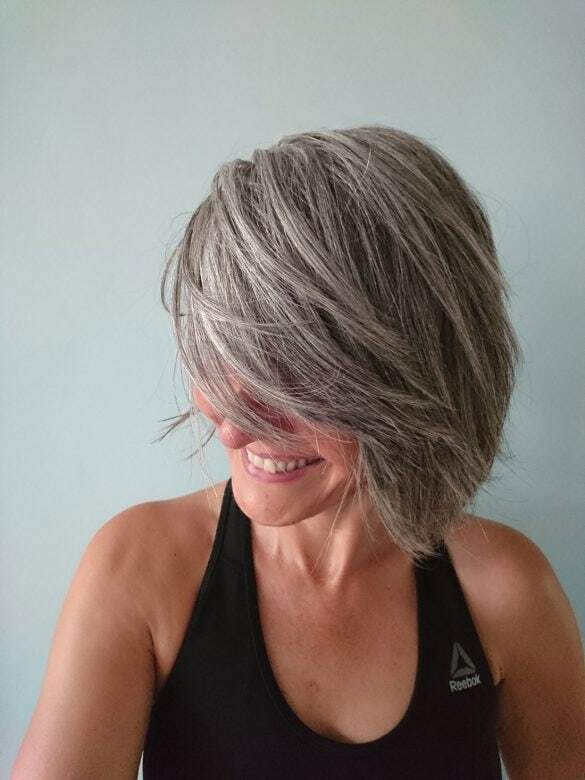 If you are on Instagram, looking at pictures of gray hair for inspiration, you’ve probably seen the French beauty Sandrine, aka @grey_so_what. If I remember well, I was 16 when I discovered my first gray hair. There it stood, the one and only, a bit frizzy, right in the middle of my bangs… I was a bit upset because my grandfather turned completely white at 30 and so did my mum. I had a cousin who was salt and pepper at 20… so I cut it off… regularly. I started dyeing at 16 with shampoos I could do at home. It was light and fashionable in the 1980s! I drastically cut my hair in a GI-Jane style in Fall 2013 to let the gray out. I thought my husband would divorce me. 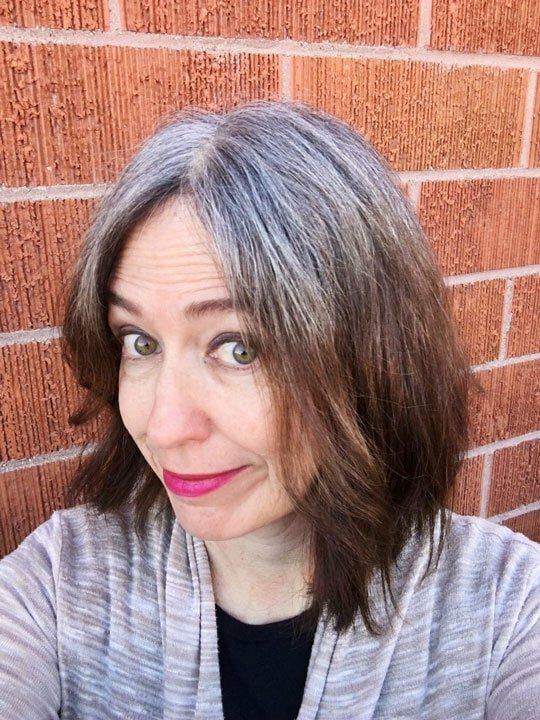 My sons were upset: “You are too young to be gray”. I was upset as well – maybe not by the gray but by the haircut. I was not ready at that time to be gray and have short hair. I cried a lot and went back to dyeing. 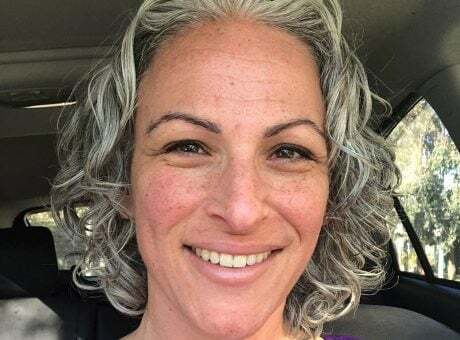 Then, at 48, I started having hormone disorders like a lot of women my age. 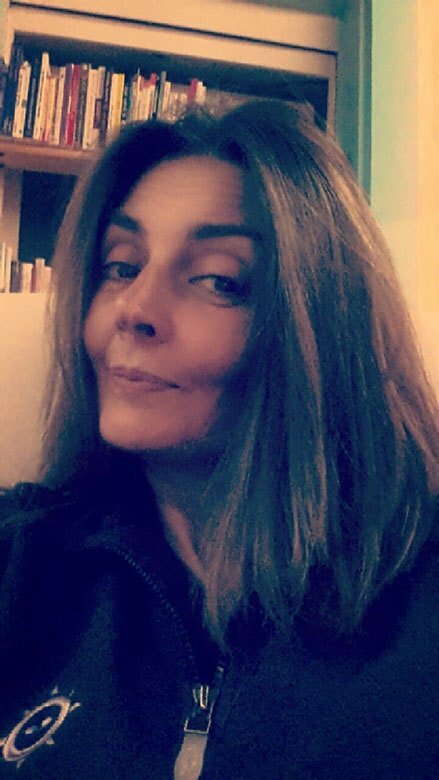 I dyed my hair for Xmas 2016 and after 3 hours at the salon, I went back home and said I was done with it! My hair grows fast and every two weeks, a male friend of mine kept saying “Time to do your roots!”… I suppose I must have been fed up with that too! At that time, I also discovered Annika Von Holdt on Pinterest and thought she was great. It helped me a lot in my transitioning. 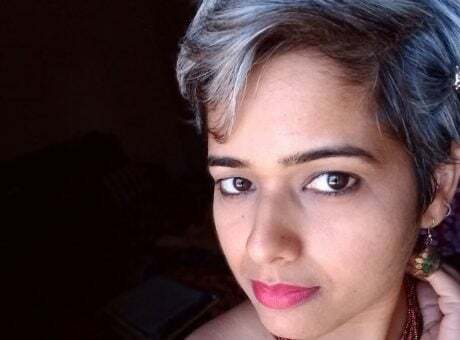 I cut my hair pixie style and waited… It was not always a bed of roses… you fight against your age, against your hair… with people staring at your roots when they speak to you. This time I had the full support of the family because they felt I was determined. I created an account on Instagram and virtually met groups of women who were transitioning and facing social pressure. 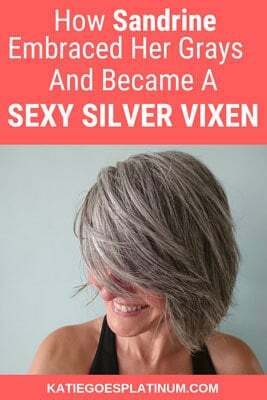 I must admit it helped tremendously and strengthened my will to go gray. Incidentally, my youngest son made me discover a series called “The Walking Dead” and I saw Melissa McBride who plays Carol. She had short gray hair and her character evolves from an abused wife to a complete warrior with a strong and powerful mind. I think you need to focus on what makes you hold on in your transitioning. Social pressure can be so oppressive. To make people forget about my hair, I focused on my clothes and makeup. My hairdresser advised me to use a blue shampoo during the transition, “Silver from L’Oréal” but it dried my scalp. So I stopped. I kept going to her salon to refresh the haircut and have hair care routines like masks, essential oils and massages… it was fun staying only one hour in the salon instead of three and spending so much less money… I also used headbands and got myself skilled in making braids 😊. Today, I am fully transitioned and I have so many compliments about my hair on Instagram that I wish I had started earlier. I would advise ladies to use Schwartzkopf Excellium beautifying shampoo enriched with Q10+ pearls. I would also advise them to embrace their natural hair. 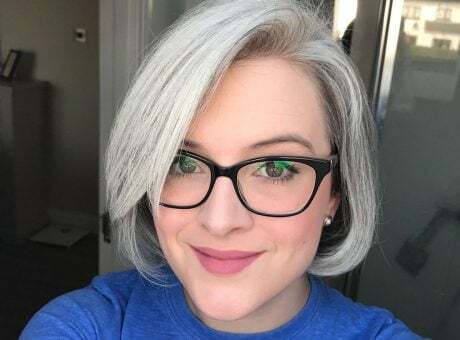 What Colors Look Best with Gray Hair?